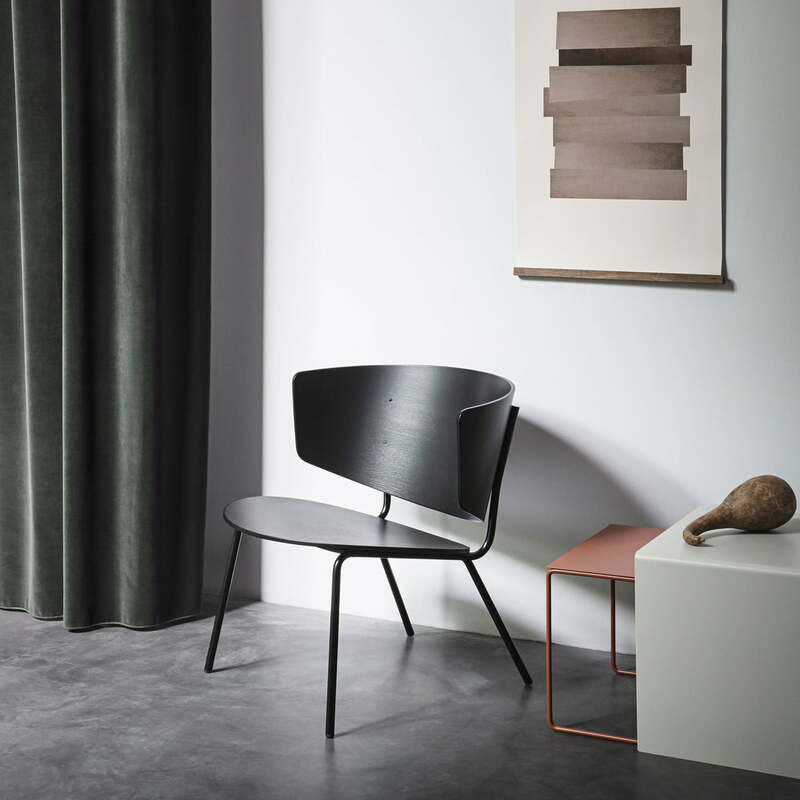 The Herman Lounge Chair by ferm Living is a low lounge chair with a large oval base part and a gently curved backrest. 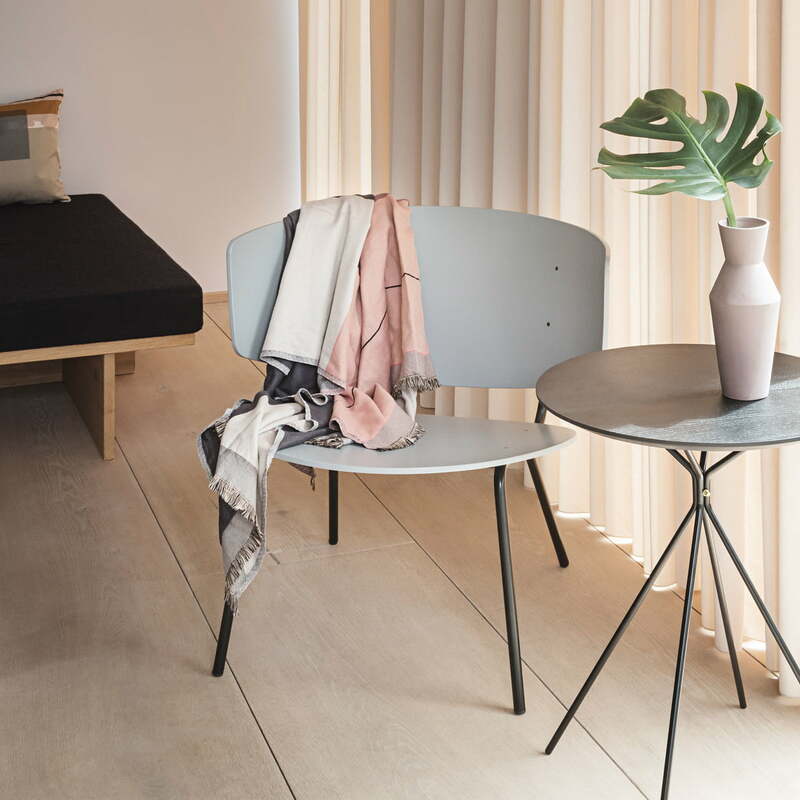 The Herman Lounge Chair belongs to the Herman Collection of the Herman Studio for ferm Living and enthuses with a restrained appearance, which can be combined in manifold ways. The Herman Lounge Chair is made from oak veneer and a powder-coated metal frame and adapts itself to the body and thus ensures an optimum of seating comfort. 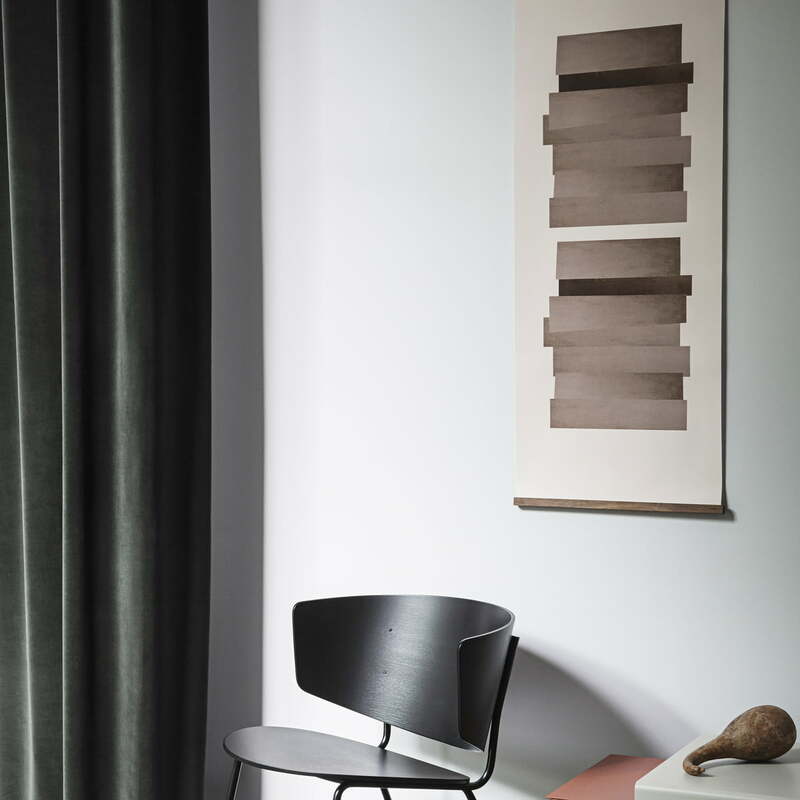 Available in different colours, the Herman Lounge Chair is the perfect complement to the eponymous collection, which thrills with a Scandinavian charm of Hermann. 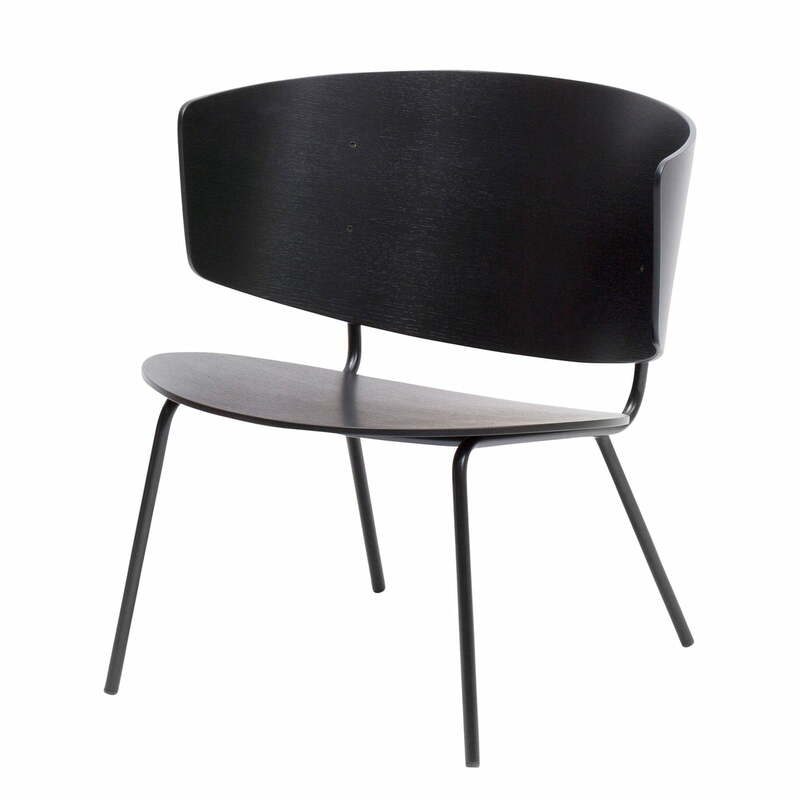 Single image of the Herman Lounge Chair by ferm Living in black. The Lounge Chair is made from oak veneer and a powder-coated metal frame and adapts itself to the body. 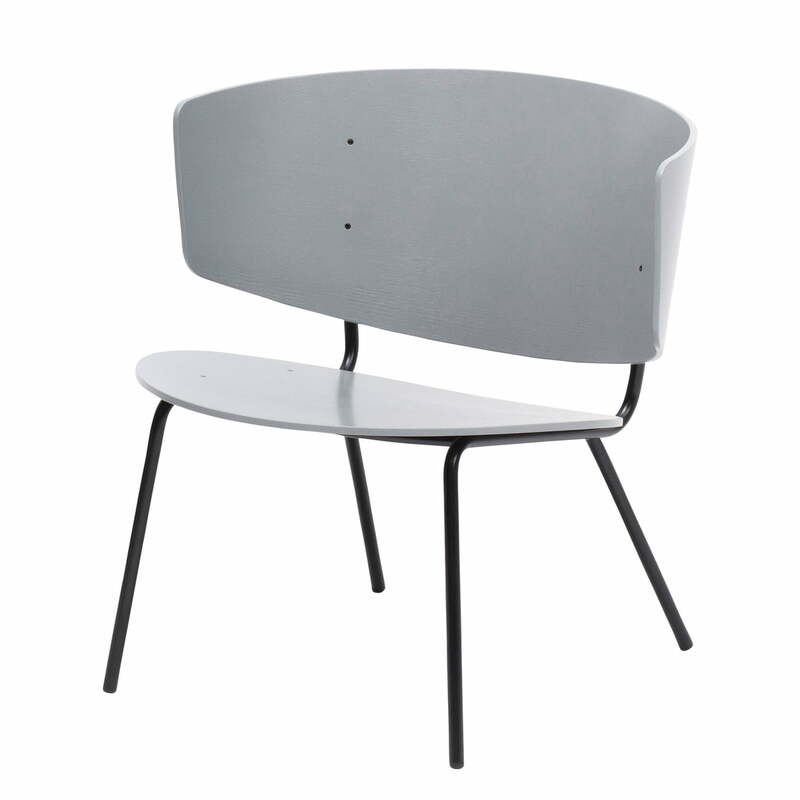 Single image of the shapely Herman Lounge Chair by Herman Studio for ferm Living in light grey. The chairs can be cleaned with a damp cloth and offers and an optimum of seating comfort. The Herman Lounge Chair by ferm Living is a low lounge chair with a large oval base part and a gently curved backrest and belongs to the Herman Collection of the Herman Studio. Due to its shade of grey, the lounge chair from oak veneer and a powder-coated metal frame perfectly fits the Sculpt Vase Corset and the Herman Side Table. 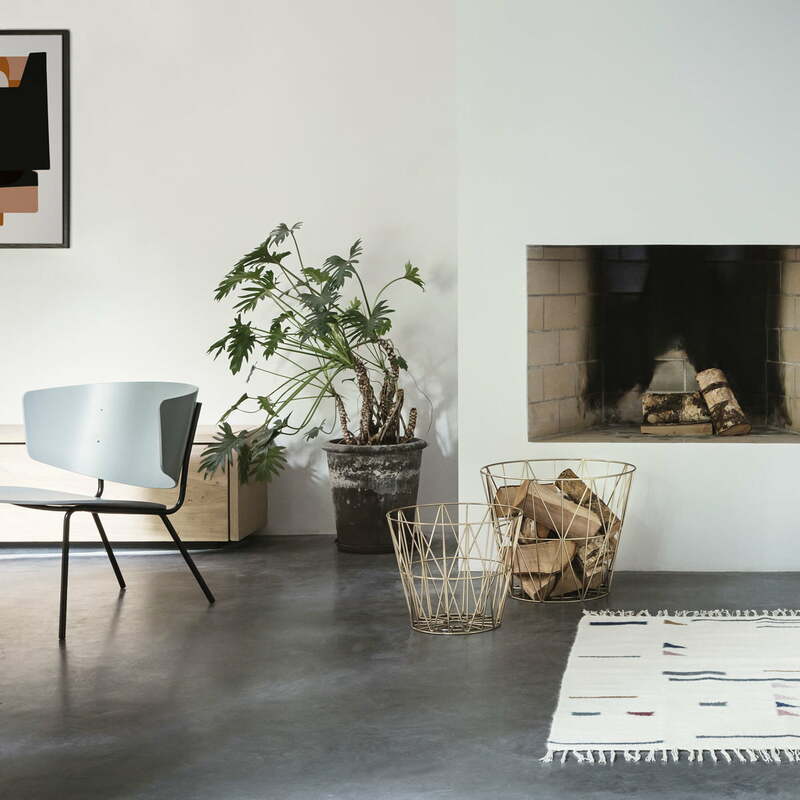 The Abstraction Poster 5 with hand-painted pattern by ferm Living is doing well beyond the Herman Lounge Chair with oval seating and curved backrest by ferm Living.